When you read that headline, does it seem strange to you? It seems strange to type. Yet, I stand behind it. Don’t buy an HDTV. I’ve spent years telling you just the opposite. Starting about 2005, I’ve told people that buying a tube TV, especially one that isn’t HD-ready, is a waste. For about the last six years, I’ve said the same thing about 4K TVs. Expensive wastes of time, I said. Don’t buy one because you’ll never notice the difference. But now I’m changing. Times change, costs change, and from now on I have a different message. Every TV you buy should be 4K HDR. That’s right, after half a decade I’m all in on 4K. What changed? Really just one thing. It’s not the quality of the picture. I guarantee in most cases you won’t know if you’re watching a 4K picture or not. Today’s streaming 4K isn’t much better than HD, and in fact HD from a Blu-ray disc still looks better than streaming 4K. But then again no one uses those anymore. You probably won’t notice if you have an HDR TV either because most programs that are broadcast in HDR don’t know how to harness the technology. We’re still in the early phases there and most shows shot in HDR just manage to look muddy and dark most of the time. The science backs me up here. Unless you have a 60″ or larger TV and you’re sitting 6-8 feet away, your eyes simply won’t be able to distinguish the difference between HD and 4K. If you really wanted to be futureproof, you would need to hold off 5-7 years to see when and if 4K over-the-air broadcasting ever happens. While there’s been some movement in ATSC 3.0, the broadcast standard that would allow 4K, it’s been slow. There are no TVs on the market today with ATSC 3.0 tuners and there probably won’t be for a year or two. It could be two more years or more before those tuners become standard. There’s no push from Congress to get that done like there was with digital TV. It’s not the super-cool design. Look, this isn’t 1997 and you’re not going to impress anyone with a TV that’s so thin you can hang it on the wall. Kids have those now. TVs are practically all screen now so there isn’t a whole lot of room for industrial design. There are a few TVs that have some innovations. Samsung puts all the inputs in a separate box that lets you run a single slim cable to the TV. LG has a TV that looks more like a painting because it’s capable of simulating reflected light. But you’re not going to buy those TVs. You’re going to buy the cheap one at the big box store or on Amazon because it’s still going to look great. It’s the price. It’s always the price. 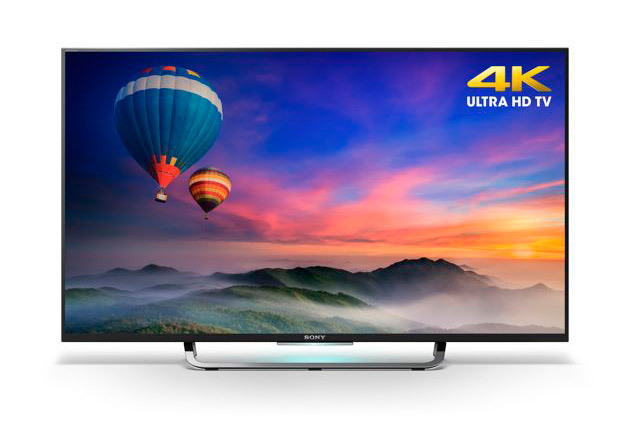 Looking around at 4K TVs, I’ve seen 55″ TVs as low as $400. And that’s for a 4K HDR smart TV. I’ve seen 80″ TVs under $1,000 which should blow you away if you remember when 80″ 4K TVs were around $20,000. That wasn’t that many years ago. Prices on 4K TVs have plunged year after year and I have to say it’s hard to imagine they could get much cheaper. The manufacturing technology is very mature now and while TV makers are always going to try to drive you to high-end models, it’s just astounding how good the low-end models are. At $400, you can get a TV that’s the equivalent of “Mr. Right Now” instead of holding out for “Mr. Right.” This TV may not be everything you’ve ever dreamed of but it’s going to look better than that 7-year-old HDTV. And there’s absolutely no reason to look at an HDTV unless you’re buying something under 40″. At a smaller size, it’s harder to find 4K TVs. Most 32″ HDTVs are actually 65″ 4K TVs cut in quarters, so the price is really great. I do expect 4K to go down to that level as well, and realistically today 32″ is the smallest TV you are likely to buy. Any smaller than that and you’re probably just watching TV on your computer, tablet or phone. So, as I said, don’t buy an HDTV. Buy 4K now. The time has come. You’ll never know the difference, but at the price, who cares. How do you connect a SWM-30 to a Reverse Band dish?